Hong Kong director Wai Keung Lau's upcoming film "Mei Li Ren Sheng" ("Beautiful Life") is gearing up for a release during the summer movie season, website qq.com reports. Actress Shu Qi from "If You are the One" plays opposite "He-Man" lead Liu Ye in the film. Yu Dong, President of film distributor Bona Film Group, said on Sunday that the movie resembled the 1996 film "Tian Mi Mi" ("Almost A Love Story"). 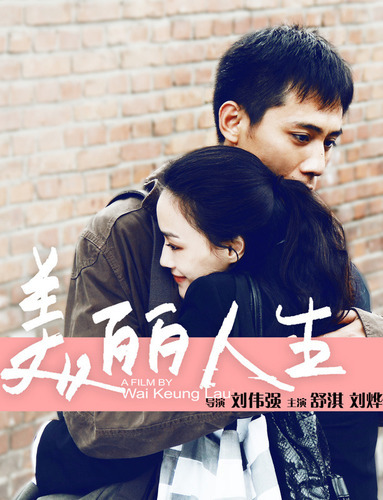 In "Mei Li Ren Sheng," Li Peiru (Shu Qi) drifts to Beijing from Hong Kong to make a living but ends up falling in love with Fang Zhendong (liu Ye), a local policeman. Shu Qi plays an opportunist who takes advantages of Liu Ye for financial gain. Other actors in the cast include Anthony Wang, Tian Liang and Sa Ri Na. The film will be released on May 20.